Is it Dangerous not having an Advocate at your Social Security Hearing? Why is it dangerous not to have an Advocate (Attorney or even non-legal Representative) at your Social Security Disability case? You’ve filed your application. You’ve waited months (and sometimes years) for your hearing to be scheduled. The day of your hearing is swiftly approaching. You will get one chance to convince the judge you are unable to work. Are you ready? Don’t leave something so important to chance. Know what to expect and how to obtain your benefits. We will develop a theory to show the judge exactly how and why you are disabled. We understand the law, vocational issues, and medical issues and are very skilled in demonstrating how you are unable to sustain employment. Our combined decades of experience in handling claims for social security benefits will benefit you. The danger of presenting your case without a theory is akin to not having a plan. Without a theory, you are virtually unprepared to prove your claim and risk receiving an unfavorable decision. We will help you focus on the issues that are crucial to your case. We recognize that every person’s claim is unique. We understand you and your specific medical and vocational issues. We will focus on what will be the key issues in your case, thereby increasing the chances you will obtain your benefits. 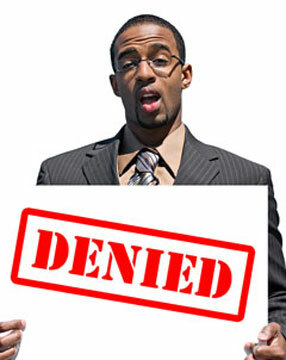 If you fail to focus on the key issues in your case, you may receive a denial that could have been avoided. You must present as a good witness. There is much you need to know about how to appear in front of a judge. Your credibility and consistency are highly significant to the outcome. These are two of the most important criteria for many judges, and you will not find them written in the “five step sequential evaluation.” Our experienced advocates will assist you with these issues as this is an essential part of winning your claim. Without an advocate, you will not know what questions will be asked of you at the hearing. You will not know what to expect. Do not underestimate the hearing environment. We will prepare you for all conceivable questions that may be asked of you at the hearing. We anticipate the questions based on years of representing claimants in these hearings. The preparation appointment with your advocate will help to reduce your stress level and equip you to present as a more effective witness in your own claim. You will need to be prepared to cross-examine the vocational expert and medical expert at your hearing. The fact that these witnesses will be present at your hearing requires an advocate to assist you. Do not miscalculate the importance of your right to cross-examination. The Social Security Administration has many deadlines. Missing a deadline will cost you money as you will be forced to start the process over and you may lose retroactive benefits in the process.